3701401 253 JCB Vibromax 253 Asphalt roller. Spare Parts Catalog. Service (workshop) Manual. Operator's Instruction Manual. 3701402 255 JCB Vibromax 255 Asphalt roller. Spare Parts Catalog. Service (workshop) Manual. Operator's Instruction Manual. 3701403 263 JCB Vibromax 263 Asphalt roller. Spare Parts Catalog. Service (workshop) Manual. Operator's Instruction Manual. 3701404 265 JCB Vibromax 265 Asphalt roller. Spare Parts Catalog. Service (workshop) Manual. Operator's Instruction Manual. 3701405 355 JCB Vibromax 355 Asphalt roller. Spare Parts Catalog. Service (workshop) Manual. Operator's Instruction Manual. 3701406 365 JCB Vibromax 365 Asphalt roller. Spare Parts Catalog. Service (workshop) Manual. Operator's Instruction Manual. 3701407 405 JCB Vibromax 405 Asphalt roller. Spare Parts Catalog. Service (workshop) Manual. Operator's Instruction Manual. 3701408 455 JCB Vibromax 455 Asphalt roller. Spare Parts Catalog. Service (workshop) Manual. Operator's Instruction Manual. 3701409 465 JCB Vibromax 465 Asphalt roller. Spare Parts Catalog. Service (workshop) Manual. Operator's Instruction Manual. 3701410 605 JCB Vibromax 605 Asphalt roller. Spare Parts Catalog. Service (workshop) Manual. Operator's Instruction Manual. 3701411 606 JCB Vibromax 606 Asphalt roller. Spare Parts Catalog. Service (workshop) Manual. Operator's Instruction Manual. 3701412 752 JCB Vibromax 752 Asphalt roller. Spare Parts Catalog. Service (workshop) Manual. Operator's Instruction Manual. 3701413 1103 JCB Vibromax 1103 Asphalt roller. Spare Parts Catalog. Service (workshop) Manual. Operator's Instruction Manual. 3701414 1105 JCB Vibromax 1105 Asphalt roller. Spare Parts Catalog. Service (workshop) Manual. Operator's Instruction Manual. 3701415 1106 JCB Vibromax 1106 Asphalt roller. Spare Parts Catalog. Service (workshop) Manual. Operator's Instruction Manual. 3701416 1405 JCB Vibromax 1405 Asphalt roller. Spare Parts Catalog. Service (workshop) Manual. Operator's Instruction Manual. 3701417 1805 JCB Vibromax 1805 Asphalt roller. Spare Parts Catalog. Service (workshop) Manual. Operator's Instruction Manual. 3701418 70B JCB Vibromax 70B Asphalt roller. Spare Parts Catalog. Service (workshop) Manual. Operator's Instruction Manual. 3701419 752C JCB Vibromax 752C Asphalt roller. Spare Parts Catalog. Service (workshop) Manual. Operator's Instruction Manual. 3701420 VM46 JCB Vibromax VM46 Asphalt roller. Spare Parts Catalog. Service (workshop) Manual. Operator's Instruction Manual. 3701421 VM46D Tier 3 JCB Vibromax VM46D Tier 3 Asphalt roller. Spare Parts Catalog. Service (workshop) Manual. Operator's Instruction Manual. 3701422 VM46PD Tier 3 JCB Vibromax VM46PD Tier 3 Asphalt roller. Spare Parts Catalog. Service (workshop) Manual. Operator's Instruction Manual. 3701423 VM46 JCB Vibromax VM46 Asphalt roller. Spare Parts Catalog. Service (workshop) Manual. Operator's Instruction Manual. 3701424 VM66 JCB Vibromax VM66 Asphalt roller. Spare Parts Catalog. Service (workshop) Manual. Operator's Instruction Manual. 3701425 VM75 JCB Vibromax VM75 Asphalt roller. Spare Parts Catalog. Service (workshop) Manual. Operator's Instruction Manual. 3701426 VM106 JCB Vibromax VM106 Asphalt roller. Spare Parts Catalog. Service (workshop) Manual. Operator's Instruction Manual. 3701427 VM115 JCB Vibromax VM115 Asphalt roller. Spare Parts Catalog. Service (workshop) Manual. Operator's Instruction Manual. 3701428 VM115 Asia JCB Vibromax VM115 Asia Asphalt roller. Spare Parts Catalog. Service (workshop) Manual. Operator's Instruction Manual. 3701429 VM115D JCB Vibromax VM115D Asphalt roller. Spare Parts Catalog. Service (workshop) Manual. Operator's Instruction Manual. 3701430 VM115HD JCB Vibromax VM115HD Asphalt roller. Spare Parts Catalog. Service (workshop) Manual. Operator's Instruction Manual. 3701431 VM115 Tier 2 JCB Vibromax VM115 Tier 2 Asphalt roller. Spare Parts Catalog. Service (workshop) Manual. Operator's Instruction Manual. 3701432 VM115 Tier 3 JCB Vibromax VM115 Tier 3 Asphalt roller. Spare Parts Catalog. Service (workshop) Manual. Operator's Instruction Manual. 3701433 VM116 JCB Vibromax VM116 Asphalt roller. Spare Parts Catalog. Service (workshop) Manual. Operator's Instruction Manual. 3701434 VM132 JCB Vibromax VM132 Asphalt roller. Spare Parts Catalog. Service (workshop) Manual. Operator's Instruction Manual. 3701435 VM132D JCB Vibromax VM132D Asphalt roller. Spare Parts Catalog. Service (workshop) Manual. Operator's Instruction Manual. 3701436 VM132PD JCB Vibromax VM132PD Asphalt roller. Spare Parts Catalog. Service (workshop) Manual. Operator's Instruction Manual. 3701437 VM132 Tier 2 JCB Vibromax VM132 Tier 2 Asphalt roller. Spare Parts Catalog. Service (workshop) Manual. Operator's Instruction Manual. 3701438 VM132 Tier 3 JCB Vibromax VM132 Tier 3 Asphalt roller. Spare Parts Catalog. Service (workshop) Manual. Operator's Instruction Manual. 3701439 VM146 JCB Vibromax VM146 Asphalt roller. Spare Parts Catalog. Service (workshop) Manual. Operator's Instruction Manual. 3701440 VM146D JCB Vibromax VM146D Asphalt roller. Spare Parts Catalog. Service (workshop) Manual. Operator's Instruction Manual. 3701441 VM146PD JCB Vibromax VM146PD Asphalt roller. Spare Parts Catalog. Service (workshop) Manual. Operator's Instruction Manual. 3701442 VM146 Tier 2 JCB Vibromax VM146 Tier 2 Asphalt roller. Spare Parts Catalog. Service (workshop) Manual. Operator's Instruction Manual. 3701443 VM146 Tier 3 JCB Vibromax VM146 Tier 3 Asphalt roller. Spare Parts Catalog. Service (workshop) Manual. Operator's Instruction Manual. 3701444 VM160-90 JCB Vibromax VM160-90 Asphalt roller. Spare Parts Catalog. Service (workshop) Manual. Operator's Instruction Manual. 3701445 VM166 JCB Vibromax VM166 Asphalt roller. Spare Parts Catalog. Service (workshop) Manual. Operator's Instruction Manual. 3701446 VM166D JCB Vibromax VM166D Asphalt roller. Spare Parts Catalog. Service (workshop) Manual. Operator's Instruction Manual. 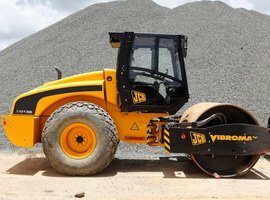 3701447 VM166HD JCB Vibromax VM166HD Asphalt roller. Spare Parts Catalog. Service (workshop) Manual. Operator's Instruction Manual. 3701448 VM166PD JCB Vibromax VM166PD Asphalt roller. Spare Parts Catalog. Service (workshop) Manual. Operator's Instruction Manual. 3701449 VM166 Tier 2 JCB Vibromax VM166 Tier 2 Asphalt roller. Spare Parts Catalog. Service (workshop) Manual. Operator's Instruction Manual. 3701450 VM166 Tier 3 JCB Vibromax VM166 Tier 3 Asphalt roller. Spare Parts Catalog. Service (workshop) Manual. Operator's Instruction Manual. 3701451 VM186 JCB Vibromax VM186 Asphalt roller. Spare Parts Catalog. Service (workshop) Manual. Operator's Instruction Manual. 3701452 VM1500F JCB Vibromax VM1500F Asphalt roller. Spare Parts Catalog. Service (workshop) Manual. Operator's Instruction Manual. 3701453 VM1500M JCB Vibromax VM1500M Asphalt roller. Spare Parts Catalog. Service (workshop) Manual. Operator's Instruction Manual. 3701454 VM1500 JCB Vibromax VM1500 Asphalt roller. Spare Parts Catalog. Service (workshop) Manual. Operator's Instruction Manual. 3701455 VM200D Tier 2 JCB Vibromax VM200D Tier 2 Asphalt roller. Spare Parts Catalog. Service (workshop) Manual. Operator's Instruction Manual. 3701456 VM200PD Tier 2 JCB Vibromax VM200PD Tier 2 Asphalt roller. Spare Parts Catalog. Service (workshop) Manual. Operator's Instruction Manual. 3701457 VM200 Tier 2 JCB Vibromax VM200 Tier 2 Asphalt roller. Spare Parts Catalog. Service (workshop) Manual. Operator's Instruction Manual. 3701458 VM200D Tier 3 JCB Vibromax VM200D Tier 3 Asphalt roller. Spare Parts Catalog. Service (workshop) Manual. Operator's Instruction Manual. 3701459 VM200PD Tier 3 JCB Vibromax VM200PD Tier 3 Asphalt roller. Spare Parts Catalog. Service (workshop) Manual. Operator's Instruction Manual. 3701460 VM200 Tier 3 JCB Vibromax VM200 Tier 3 Asphalt roller. Spare Parts Catalog. Service (workshop) Manual. Operator's Instruction Manual. 3701461 VM260-100 JCB Vibromax VM260-100 Asphalt roller. Spare Parts Catalog. Service (workshop) Manual. Operator's Instruction Manual. 3701462 VM260-120 JCB Vibromax VM260-120 Asphalt roller. Spare Parts Catalog. Service (workshop) Manual. Operator's Instruction Manual. 3701463 VM651 JCB Vibromax VM651 Asphalt roller. Spare Parts Catalog. Service (workshop) Manual. Operator's Instruction Manual. 3701464 VMD62 JCB Vibromax VMD62 Asphalt roller. Spare Parts Catalog. Service (workshop) Manual. Operator's Instruction Manual. 3701465 VMD70 JCB Vibromax VMD70 Asphalt roller. Spare Parts Catalog. Service (workshop) Manual. Operator's Instruction Manual. 3701466 VMD80 JCB Vibromax VMD80 Asphalt roller. Spare Parts Catalog. Service (workshop) Manual. Operator's Instruction Manual. 3701467 VMD100 JCB Vibromax VMD100 Asphalt roller. Spare Parts Catalog. Service (workshop) Manual. Operator's Instruction Manual. 3701468 VMD120 JCB Vibromax VMD120 Asphalt roller. Spare Parts Catalog. Service (workshop) Manual. Operator's Instruction Manual. 3701469 VMS55 JCB Vibromax VMS55 Asphalt roller. Spare Parts Catalog. Service (workshop) Manual. Operator's Instruction Manual. 3701470 VMS71 JCB Vibromax VMS71 Asphalt roller. Spare Parts Catalog. Service (workshop) Manual. Operator's Instruction Manual. 3701471 VMS71-20 JCB Vibromax VMS71-20 Asphalt roller. Spare Parts Catalog. Service (workshop) Manual. Operator's Instruction Manual. 3701472 VMS71-30 JCB Vibromax VMS71-30 Asphalt roller. Spare Parts Catalog. Service (workshop) Manual. Operator's Instruction Manual. 3701473 VMT160 JCB Vibromax VMT160 Asphalt roller. Spare Parts Catalog. Service (workshop) Manual. Operator's Instruction Manual. 3701474 VMT260 JCB Vibromax VMT260 Asphalt roller. Spare Parts Catalog. Service (workshop) Manual. Operator's Instruction Manual. 3701475 VMT270 JCB Vibromax VMT270 Asphalt roller. Spare Parts Catalog. Service (workshop) Manual. Operator's Instruction Manual. 3701476 VMT280 JCB Vibromax VMT280 Asphalt roller. Spare Parts Catalog. Service (workshop) Manual. Operator's Instruction Manual. 3701477 VMT390 JCB Vibromax VMT390 Asphalt roller. Spare Parts Catalog. Service (workshop) Manual. Operator's Instruction Manual. 3701478 VMT400 JCB Vibromax VMT400 Asphalt roller. Spare Parts Catalog. Service (workshop) Manual. Operator's Instruction Manual. 3701479 VMT480 JCB Vibromax VMT480 Asphalt roller. Spare Parts Catalog. Service (workshop) Manual. Operator's Instruction Manual. 3701480 VMT500 JCB Vibromax VMT500 Asphalt roller. Spare Parts Catalog. Service (workshop) Manual. Operator's Instruction Manual. 3701481 VMT850 JCB Vibromax VMT850 Asphalt roller. Spare Parts Catalog. Service (workshop) Manual. Operator's Instruction Manual. 3701482 VMT860 JCB Vibromax VMT860 Asphalt roller. Spare Parts Catalog. Service (workshop) Manual. Operator's Instruction Manual. 3701483 W1500 JCB Vibromax W1500 Asphalt roller. Spare Parts Catalog. Service (workshop) Manual. Operator's Instruction Manual.